NASHVILLE, Tenn. (WKRN) – Supporters of legal marijuana hope to spur action on an issue they say has broad support in Tennessee. 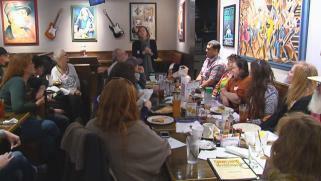 The Tennessee Cannabis Coalition met Sunday night in Nashville to gear up for the upcoming legislative session. The activist group said 76 percent of Tennesseans support medical marijuana.They hope increased awareness will lead to voting on the issue. The coalition said the positive news from states that have legalized marijuana could help raise awareness here in Tennessee.